Our 2018-19 Season features luminaries and emerging choreographers from across the country, our city, and beyond our borders. We’re celebrating 45 years in motion. David Rousseve/REALITY, from Stardust, photo by Yi Chun. 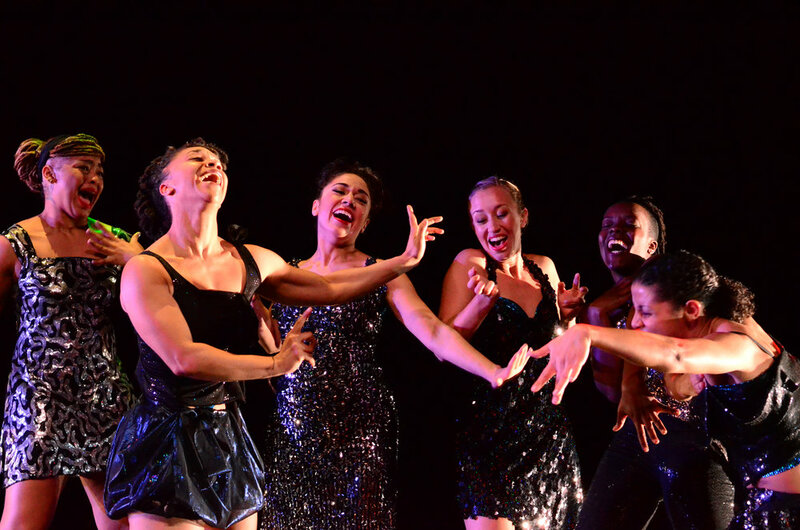 The Dance Center of Columbia College Chicago is the city’s leading presenter of contemporary dance – bringing international, national, and local artists to Chicago audiences. The Dance Center has served as a focal point for dance and performance in Chicago since 1974. Urban Bush Women in Hep Hep Sweet Sweet, photo by Rick McCullough. We could not do our work without the generous support of our individual supporters, the Friends of the Dance Center, and institutional funders. Your donation directly supports the artists that we present. Banner photo at top: Urban Bush Women in Hair and Other Stories, photo by Hayim Heron.